Originally, sports and their components were founded on the idea of masculinity, heroisms, and competition. Sports were played for entertainment purposes and as a way to occupy the mind. Anyone could play them and do so in any available space. But as sports developed, they grew into more competitive events with different outcomes– professional teams were developed, huge stadiums were built, and the idea of sport changed. With the rise of capitalism and industrialization came the rise of media and its specific attention to sports. Media and sports have circular relationship with one another—media and its writers and broadcasters used sports to generate topics of discussion for publication and the heightened popularity of sports can give some credit to the attention it received from different forms of media over the years (Wenner, 1989). Researchers such as Wenner (1989) explored the cyclical relationship between media and sports (and its popularity) and how waves of industrialization and modernization were factors in that. Big surges of sports popularity, especially focusing on specific aspects of sports such as certain sports, games, players and even plays, comes from the attention it receives from media. Media jumped on sports stories and used that as a leverage to become commercial enterprises. With the upswing of capitalism in the 1830’s, sports were used as a way for broadcasting agencies to gain popularity, generate profit, and to compete in the broadcasting economy. The history of sports journalism dates way back and was enhanced by the growth of industrialization and the success of sport as a new cultural American institution. As journalism advanced from political biases pleasing a specific group of people to a commercialized enterprise, sports shifted from a local pastime to a competitive industry that span across the nation. Sports journalism began in the 1820s and 1830s with magazines specializing in sports stories, primarily focusing on boxing and horse racing. At first, sports stories covered big events such as rival matches against the United States and other countries but by the end of the 19th century sports writers began to create their own routines and customs and focused more on specific American sports (Bryant and Holt, 2006). In the 1830s and 1840s newspaper journalism was on the rise (Wenner, 1989). The development of the penny press, which allowed for a mass-production of tabloid-style newspapers, allowed for the price of newspapers to drop which encouraged a new audience—middle-class people could now afford to buy the newspaper and therefore the circulation of news, including sports writings, increased. Instead of relying heavily on consumption and circulation of the news articles, newspapers began to rely heavily on advertising to pay for their costs. Because of the mass production and high circulation of newspapers during this time, the popularity of sports increased due to the amount of people reading the stories and following along with sports journalism. Because of mass production, journalists began looking for topics that would be interesting to all people rather than a certain group and sports fit that idea perfectly. Between the 1880 through the early 1900s America saw a surge in industrialization which brought about many technological advancements. One of this was the radio. In the United States, radio broadcasting became popular in the 1920s. The 1920s, in general, were a big era for sports and commonly known as the “Golden Age of Sport” (Wenner, 1989). The media and sports journalism used this booming era for sports to commercialize and advertise their mediums. 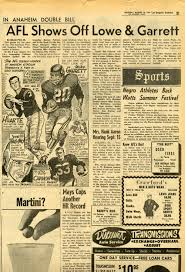 By 1929, one third of Americans had a radio in their house (Wenner, 1989) meaning that a good number of Americans had access to listen to sports coverages and stay up to date with sporting events and news. This made American sports jump with attention and popularity. News coverages during this Golden Age of sport also help to popularize modern sports—in 1880, 0.04% of a newspaper was dedicated to sports coverages and by 1920 there was an increase of up to 20% of newspaper coverages included sports stories. Currently, television is the most popular form of sports broadcasting and coverages although the radio, newspapers, and magazines have not completely washed away. Major and professional sports leagues have contracts with huge commercial broadcasting firms, local stations, cable networks, etc. allowing their teams and games to be displayed on television. The emergence of television broadcasting of sports has led to increased interests on sports broadcasting rights (but that’s a topic for another day). Recently, the NFL gets about half its revenue from broadcasting while the NBA and MLB get about a third of their revenues from broadcasting (Cave and Crandall, 2001). As the progression of sports media has changed over time, so has the popularity of sport and its role as a commercial enterprise. From sports being played for fun on the streets and in any open field to being the headlines of magazines, newspapers, talk shows, and television stations, sporting events, whether played or watched, have been played a big role in American pastime. Media, not only commercialized sport, but allows people who do not typically have access to sport a chance to watch and keep up. American sports are a big part of our national identity and media has helped encourage that tradition. Wenner, L. A. (Ed.). (1989). Media, sports & society. Newbury Park, CA: Sage Publications.